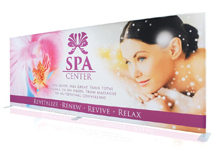 EZ Tube displays are our preferred line of display systems for low price and fast turnaround. 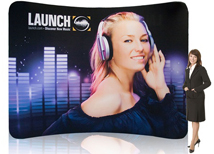 There are many options available for tube stretch fabric displays, and the EZ tube offers the lowest pricing and fastest turnaround in only 3 days. 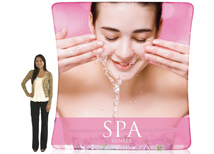 All graphics are printed right here in the US and are NOT low cost prints from China or Mexico. The EZ tube comes in either a single or double sided version and is available with lights and/or a hard shipping case. 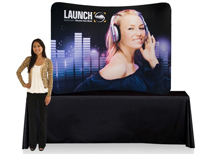 Our large selection of sizes and shapes will work with any booth layout! 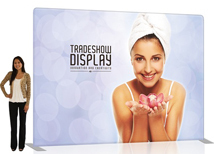 EZ Tube displays offer one of the best values currently in the trade show market. 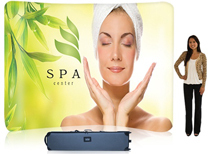 They are great solutions for marketing events, trade fairs, product launch events, festivals, and conventions. The 10 foot model continues to be the most popular because it fits most standard exhibit spaces. 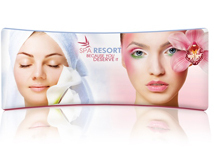 It comes in a curve, straight, serpentine, and arch shape which offers great solutions for any type of event. 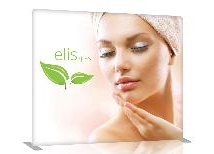 Not only is the EZ tube system affordable, its very easy to set up and is extremely durable. 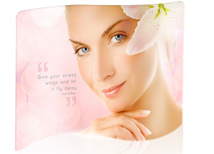 A great feature of the frame is its tubular aluminum construction. Unlike standard accordion-style pop up systems, tubular aluminum is free of easy to break, moving parts. This makes the frame durable and brings the warranty claim rate to close to 0%. We can ship the EZ tube system from either CA or PA, so not only is production time only 3 business days, we can also deliver to most locations in the US in 2-3 business days with standard ground shipping. 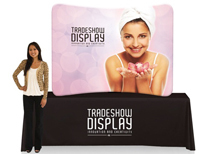 We offer very low cost double sided graphics which are perfect for events where the exhibit space is exposed. 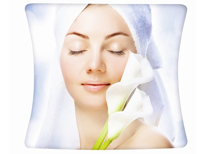 Every frame comes with a lifetime warranty and the graphic includes a 1 year warranty to protect against any defects!